Sounds of the 60s: Guess Who’s Coming to Dinner and A Funny Thing Happened on the Way to the Forum, reviewed. If you don’t know what to get your playgoing (or at least not-theatre-averse) parents for Christmas, and you can afford the freight, Arena Stage’s Malcolm-Jamal Warner-starring Guess Who’s Coming to Dinner and the Shakespeare Theatre Company’s A Funny Thing Happened on the Way to the Forum are both good revivals of 1960s items that they’re likely to enjoy. I liked them, too. But then, I’m big on the music, movies, and TV of the 60s. I review both in today’s Washington City Paper, available wherever finer alt-weeklies are given away for free. 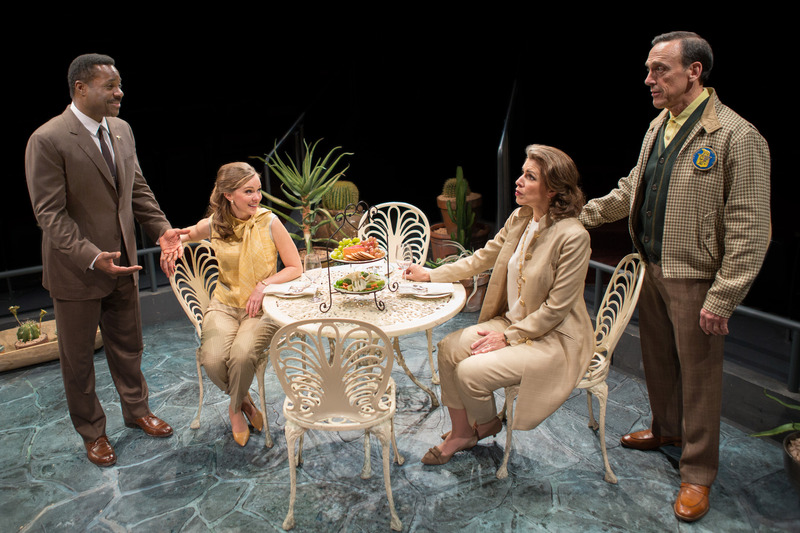 This entry was posted in theatre and tagged Arena Stage, Bruce Dow, Katherine Hepburn, Malcolm-Jamal Warner, play reviews, Shakespeare Theatre Company, Sidney Poitier, Spencer Tracy, Washington City Paper. Bookmark the permalink.